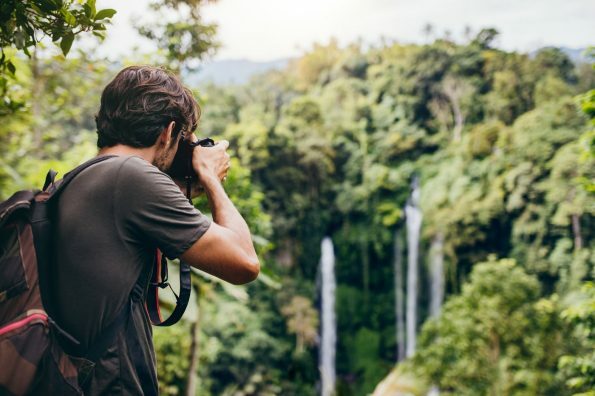 Are you getting ready for your next adventure in the great outdoors but don’t feel too confident about your photo skills? The following landscape photography tips will help you kick the quality of your images up a notch. Here at The Adventure Junkies, we want to make sure you return from your backpacking or hiking experience with a collection of memorable pictures. 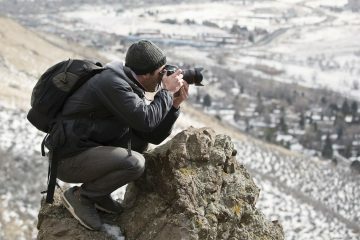 The following tips we’re about to share with you will not only serve as a guideline to carry the right gear with you, but also to teach you some basic composition techniques that will surely help enhance your landscape photos. Regardless of the type of photography you shoot, 90 percent of any image’s quality has to do with light. If you want to take your skills up a notch, it is critical for you to take your landscape photos either at sunrise or sunset. While this means you’ll have to get up early or stay out late, it is worth making that extra effort to capture with your camera the beautiful and vibrant skies as well as longer shadows that will give your images a greater sense of depth. Try to arrive at your destination at least an hour before sunset or shortly after sunrise. This time of the day is known as the Golden Hour in photography. It is the moment when the sun is closer to the horizon, which makes the light softer and more diffused. During this time of the day, the contrast between the highlights and shadows decreases. It creates a more balanced lighting and makes it easier to capture a more evenly exposed photograph. In photography, the Blue Hour is the time of the day that refers to the period of twilight, which may be at early dawn or late at dusk, when the sun is below the horizon level. As the name implies, the light during this time takes a blue hue along with some pinkish-purplish tones. This combination paints a beautiful color in the sky. It also creates a romantic atmosphere, which is ideal when shooting landscape photography. With landscape photography, you will want to make sure you capture as much of the scene as you can within your frame. Whether it’s a prairie with flowers or a lake with a mountain range in the back, use a smaller aperture (f11-f16) so that everything within the frame is focused. It will also give a greater depth of field. Bear in mind, however, that a smaller aperture will demand you to allow more light in your sensor. This means that you will either need to increase the ISO or increase the time of your exposure. Carrying the right lenses with you can make all the difference when shooting landscape photography. Since you’ll want to capture as much as possible within your frame, it is always recommended to use a wide-angle lens. These types of lenses have a significantly smaller focal length and are usually lighter than other lenses. 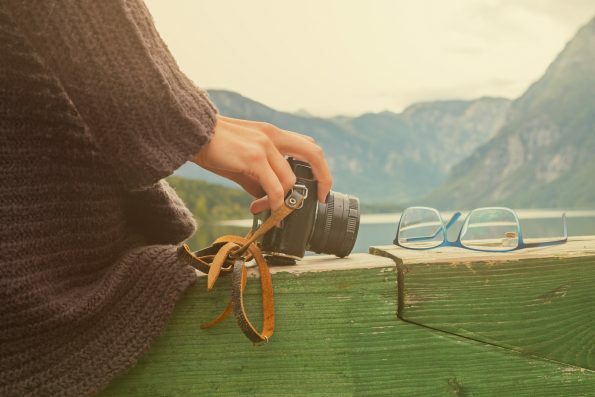 These qualities make them ideal travel companions. Macro lenses can also come in handy when shooting landscape photography. If you just want to focus on one subject, such as a flower or other elements in nature, add a macro lens to your gear as they give a 1:1 reproduction and also create a beautiful bokeh effect. 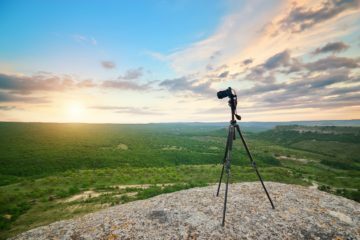 Since the best landscape photos are taken when the light is dimmer, which is usually around sunrise or sunset, it is always best to carry a tripod with you. This will allow you to take long exposure photos which would enable you to capture the movement of the clouds, water flowing or even star trails. Look for tripods that are lightweight yet sturdy enough to pass the test of time. When shooting landscape photography, you’ll probably be hiking to places that are off the beaten path. Having a durable tripod is critical to take quality photos. 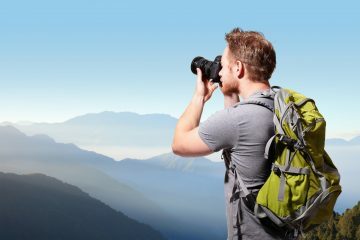 When people are starting out in photography, they’re often too focused on capturing the mountains in the background. They tend to forget that having an element in the foreground is equally important. If an element is missing in the foreground, the photo lacks some sense of depth. 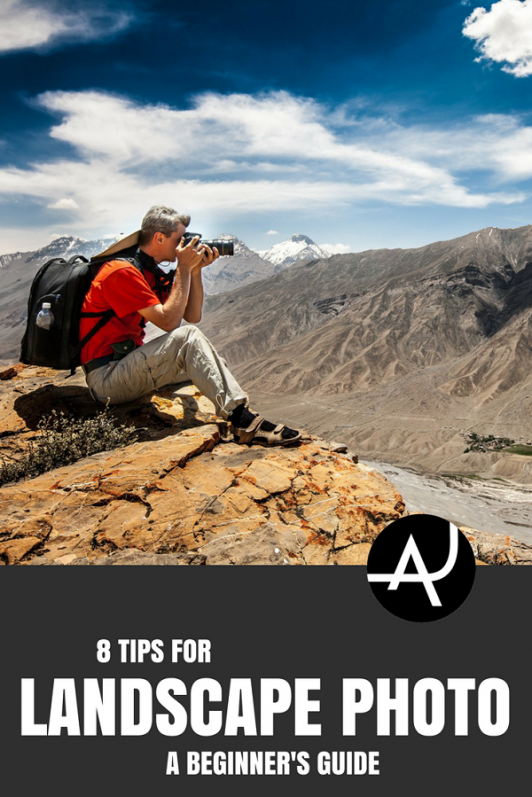 This is one of the most important landscape photography tips you will need to keep in mind. To keep a balanced photo, always try to include an element in the foreground. Another one should be in the middle ground like the mountains or lake. The third element should be found in the background, which would usually be the sky and clouds. Leading lines refer to a composition technique that helps direct the viewer’s eyes through the use of some lines into the main subject in your photograph. These lines could be anything and take any form, such as the stream of a river, a line of flowers or even land dividing fences. By using these lines, you will grab the viewer’s attention and draw their eyes into the distance. Leading lines can also help arrange the elements within your frame for them to tell a better story. 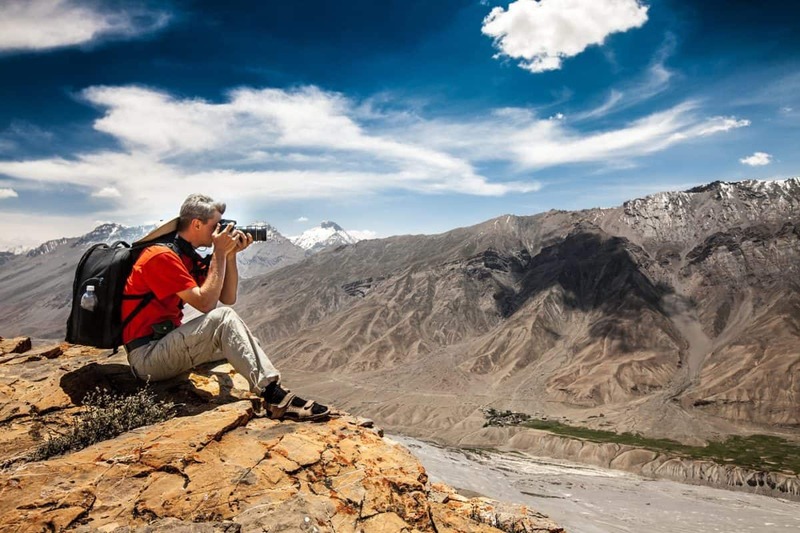 Oftentimes, people think of landscape photography as a still moment being captured with your camera. But, this couldn’t be any farther from the truth. You can (and you probably should) try to capture movement when you go out to shoot landscape photos. Look for water flowing at your destination. It could be anything from a river creek to a waterfall. Once you spot these elements, set your tripod on solid ground and take a long exposure picture. It will give your landscape photographs a really smooth silky-like effect. You could also use clouds to capture movement. If it’s windy and you set your camera exposure to three or four minutes, you will get a really nice, blanket-like skies in your pictures. Landscape photography requires you to take into consideration the weather conditions. Ideally, you will want some clouds in the sky as cloudless landscape photos look bland and boring. Beginner photographers think it’s best to shoot on sunny days, but one of the best landscape photography tips any pro will give you is to get out on an overcast day. Look for stormy clouds, rainbows or rays of sun breaking through dark skies to make your photos more dramatic. Be sure to carry a waterproof backpack with you when heading out to take pictures of nature in case the rain starts to pour. Always protect your gear when being outdoors.